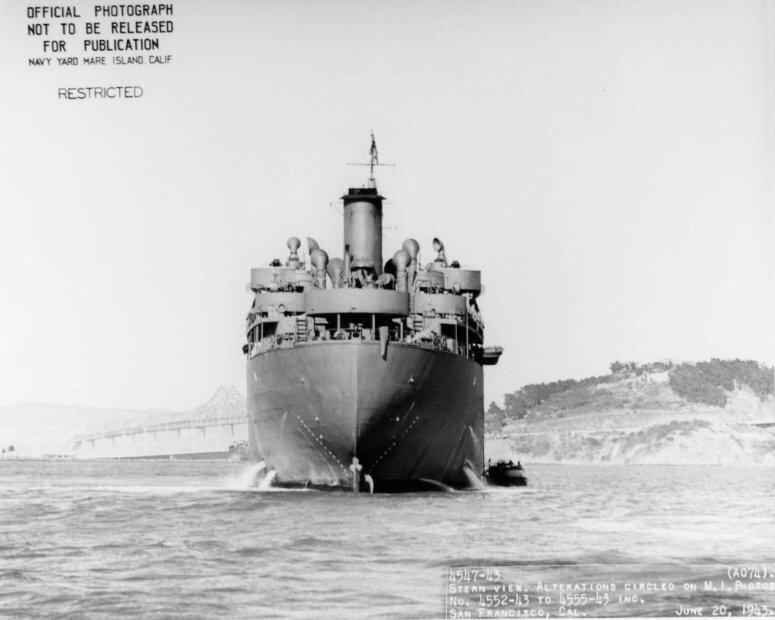 Laid down, 27 August 1942, as SS Cowpens a Maritime Commission type (T2-SE-A1) tanker hull, under Maritime Commission contract (MC hull 337), at Sun Shipbuilding & Dry Dock Co., Chester, PA.
Largest Boom Capacity 60 t.
one turbo-drive 75Kw 120V D.C.
one turbo-drive 50Kw 120V D.C.
56k USS Saranac (AO-74) (stern view) in San Francisco Bay, 20 June 1943. 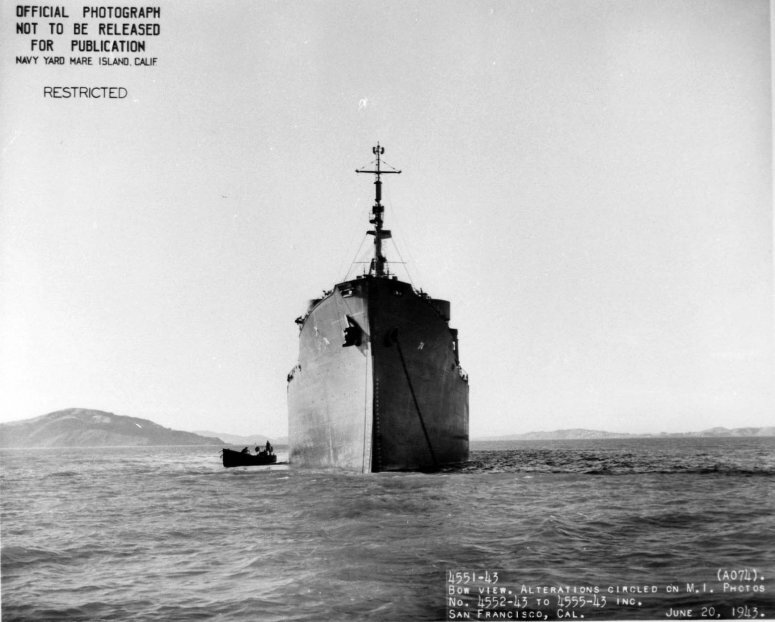 69k USS Saranac (AO-74) (bows on view) in San Francisco Bay, 20 June 1943. 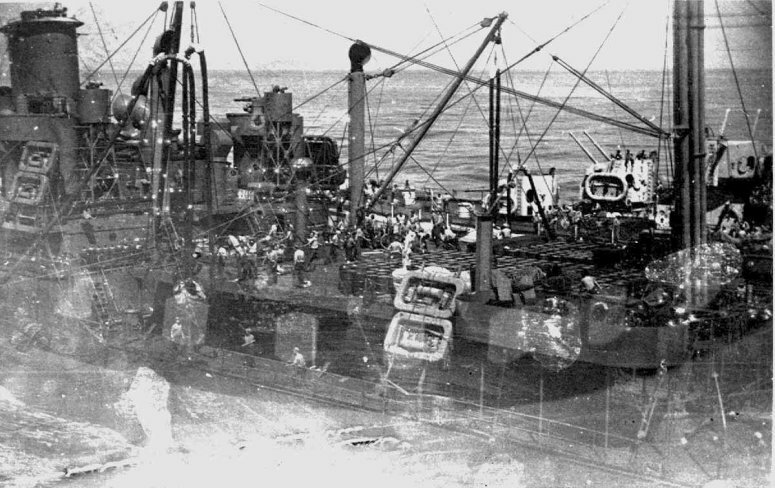 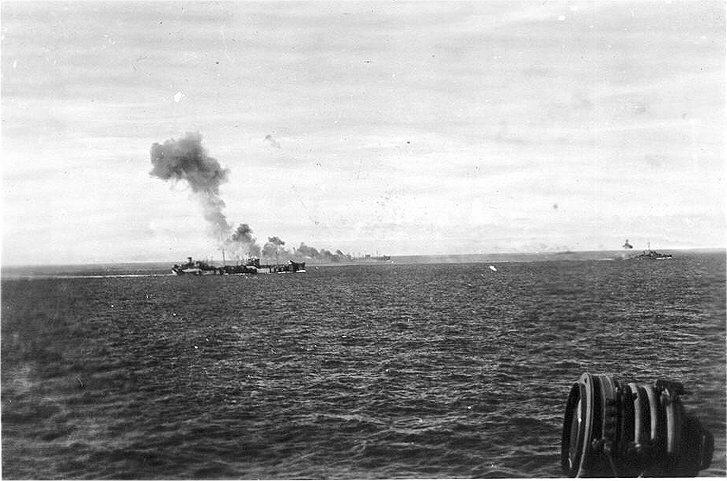 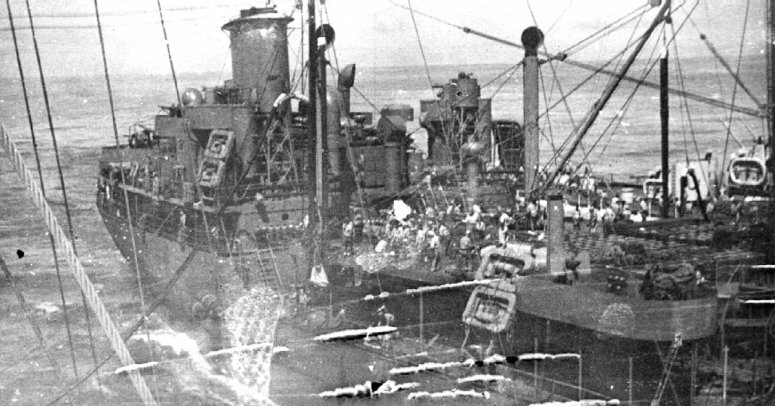 203k USS Nashville CL-43 receiving fuel from USS Saranac (AO-74) on the afternoon of 15 October 1944 as she steamed for Leyte Gulf in the Philippines with General Douglas MacArthur and his staff aboard. 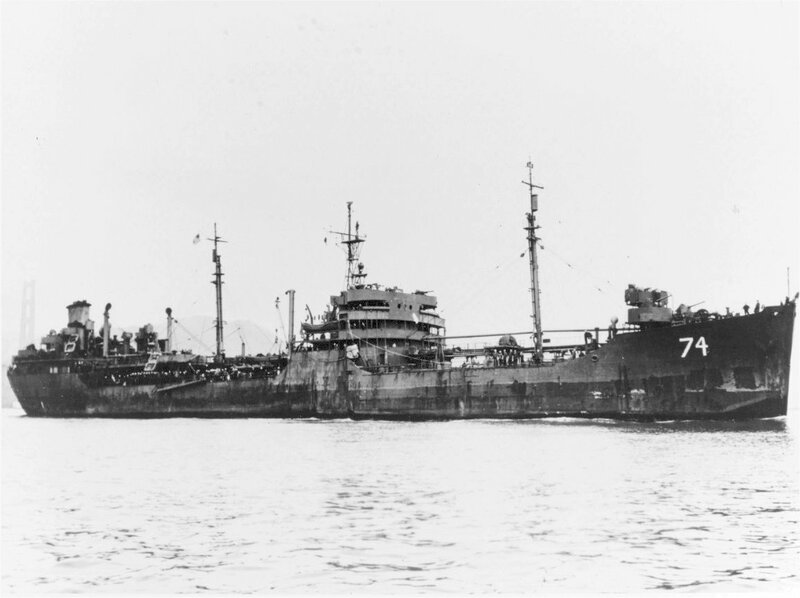 This underway replenishment saw the transfer of 81,727 gallons of fuel oil in just under 50 minutes, which Nashville burned through in about three and a half days. 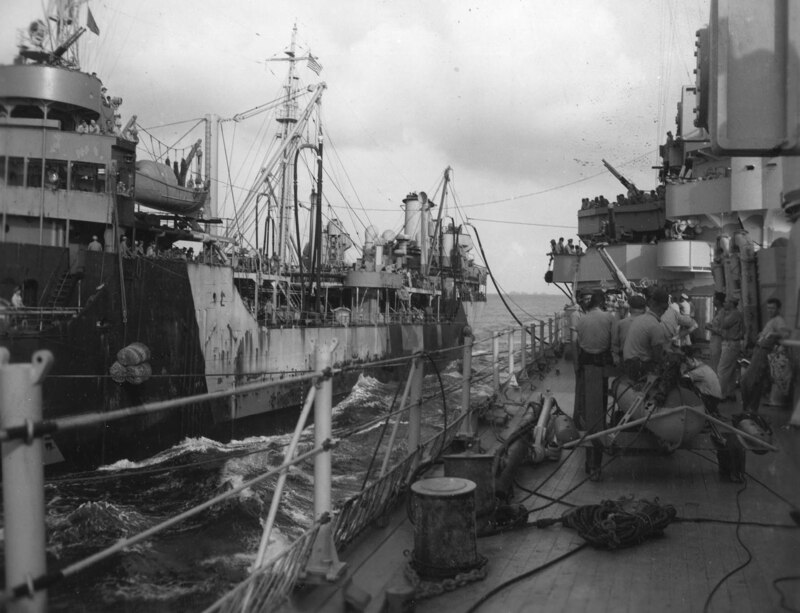 Sailors in the foreground of Nashville's deck are clustered around one of her paravanes, used to pull mine sweeping chains out from the ship's bow. 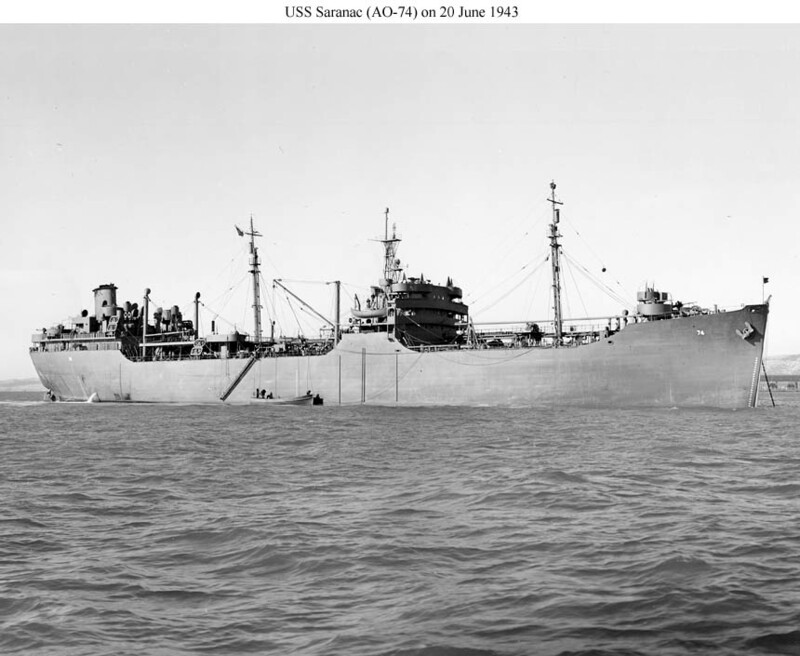 40k USS Saranac (AO-74) at anchor, date and location unknown. 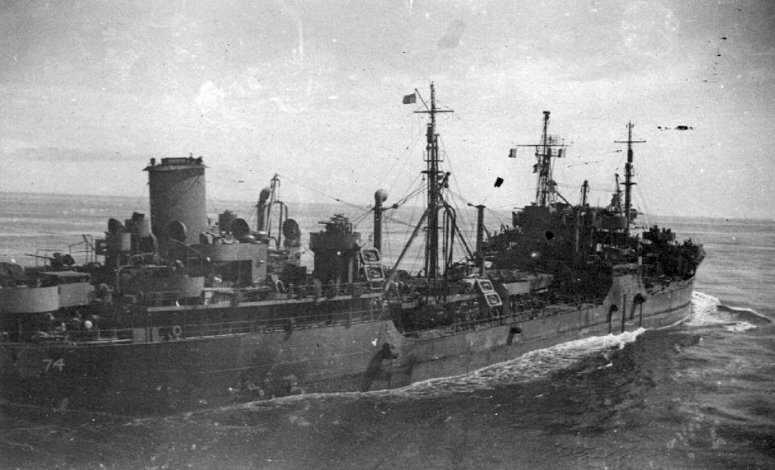 27k USS Saranac (AO-74) at anchor, date and location unknown.